One of the greatest barriers to improving healthcare in the United States is utilizing medications in a manner that does not allow them to reach their full potential. Clinical pharmacists are an integral member of the healthcare team and play an important role in optimizing medication use and improving patient care. The expert panelists on this upcoming webinar will discuss the importance of implementing Comprehensive Medication Management (CMM) strategies to maximize patient outcomes. Describe CMM and how it is delivered. Identify the key practice management and operational elements needed to successfully integrate CMM into primary care. Describe areas of alignment between CMM and value-based healthcare in the U.S.
Illustrate how CMM contributes to achieving the “quadruple aim” (quality, cost, patient experience, and medical provider experience). The 2018 PCPCC Annual Conference will be here before you know it! 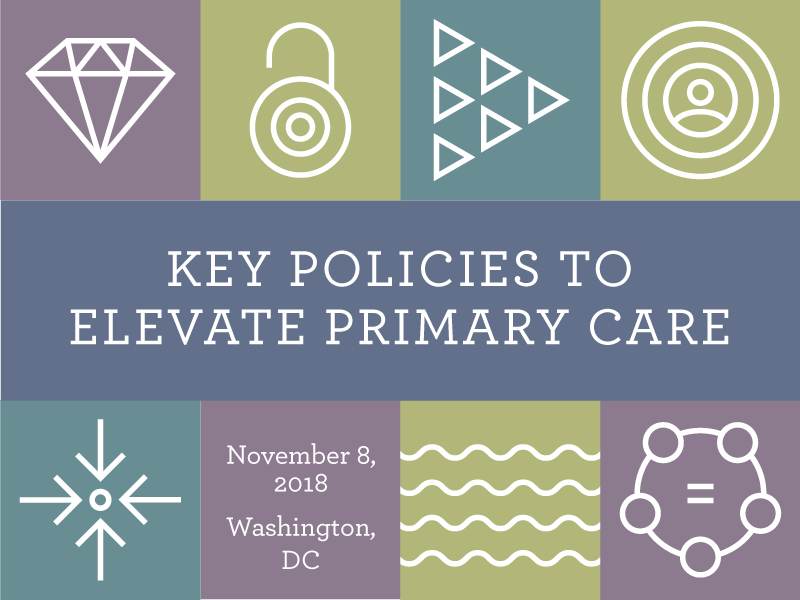 We hope you’ll join us on November 8 in Washington, DC. If you haven't registered yet, there's good news: we've extended our early bird registration deadline! That means you can still save up to $100 if you register by September 14.